Two theatres and a cinema in one convenient location. 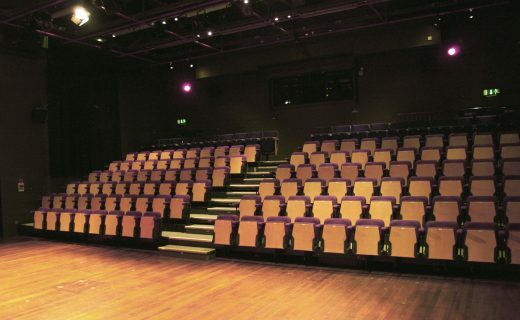 Chelmsford Theatres offer a range of corporate venues. Easily accessible, they are situated next to the main City centre rail and bus stations. Civic Theatre – a 500 fixed seat auditorium with full technical facilities. Cramphorn Theatre – a flexible studio space for up to 175 people with tiered and cabaret seating options plus a full cinema. Foyer space and bar areas, perfect for seminars, training, exhibition, business briefings, and presentations.